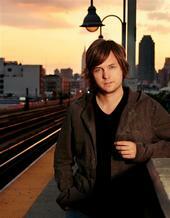 Nick Howard is a British Songwriter who moved to the States to take over the music world. On hearing his music it’s easy to see why he made the move, having quite a AOR sound, not unlike Five For Fighting or Shawn Mullins perhaps. Me likes a lot. Anyway, along the way Howard managed to make his way onto the soundtracks for The Hills, Jersey Shore and what impressed me most, LA Ink! Not bad exposure if you can get it. His single ‘A Better Man’ broke into the US radio charts in 2009 and is available for free download from his website. ‘Falling for you’ is released in Ireland on November 26th.